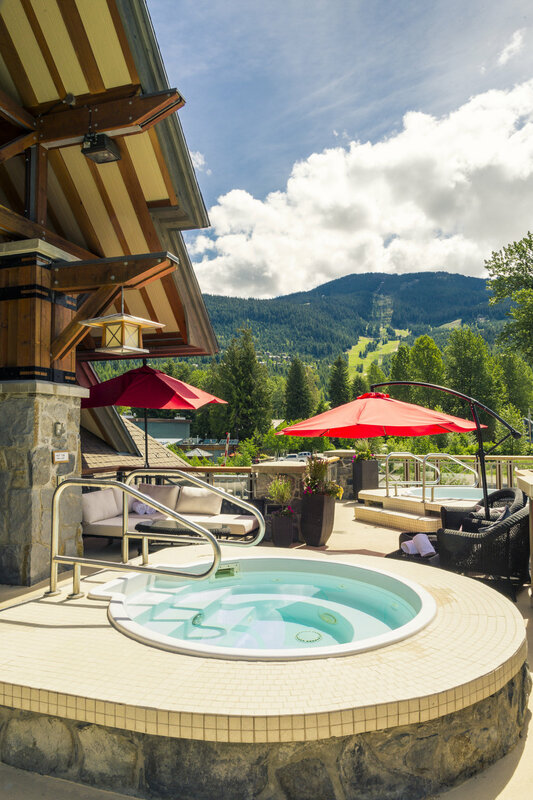 The Spa at the Nita Lake Lodge is located in the hotel, which is a block from the base of Creekside Gondola in Whistler. The area is a quaint village that is a two minute drive south of the larger Whistler Village. The spa is in the southwestern wing of Nita Lake Lodge and fully accessible walking through the hotel. That's handy during the winter given you may not want to walk outside in your robe if you're a guest at the hotel. After a long walk through multiple corridors, you enter the reception area greeted by a very pleasant receptionist who will check you in. The reception area is spacious and provides plenty of seating room with bright lighting. Upon check-in, and if you're staying at the hotel like I am, you'll already be in your robe and won't really need to access the change rooms (even though they're there). You'll be led directly to the waiting lounge which is modern and calm. I went in the evening so did not see the space during the day - although the pictures online do portray a very bright, naturally-lit room with large windows. There is plenty of seating area, from raised banquettes to individual lounge chairs lined with sheepskin and blankets, which perfectly evokes the Whistler feel. The treatment I had was the 75-minute Kundalini massage that is part of the Sleep Therapy Package offered by Nita Lake Lodge. The treatment uses ila™ hand made, organic products that are meant to nuture beyond the surface of the skin - to impart emotional change through touch and smell. What I can say is the treatment couldn't have come at a better time because I hadn't been sleeping well for three prior nights. You get onto the massage table and the therapist places warming pouches (filled with what feels like grain to use as weight) all down your spine to begin warming your skin and relaxing your mind. While that is happening, she begins to scrub your feet so that you can start to feel grounded. It was a great way to start as I my breathing did indeed begin to slow down. The massage itself uses essential oils combined with ancient massage techniques focused on your chakra to begin awaking some of the energy that is dormant in your body. This may sound counterproductive but this awakening actually begins to relax you. You become much more focused and centered on your breathing, on your wellness and state of mind and it's incredibly restorative. In fact, so much so that I'm embarrassed to say that I fell asleep during part of it! That's when you know it's working. A treatment that does what it says it's supposed to - relax you and get you ready for bed. I slept like a rock that night. There is a manicure station in the waiting lounge, which I thought was odd. Manicures should be done separate from the relaxation area. 90-Min Spa Rating: 5H Spa (AHHHHH - AMAZING) Learn more about the spa ratings.